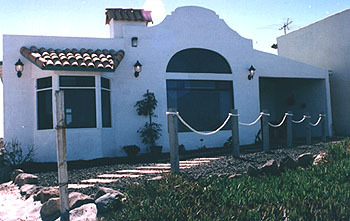 Ensenada and surrounding areas, both north and south, offer many different types of real estate options. You'll find everything from ocean front and view homes to mountain retreats and ranchos to vacation condos and retirement homes. Please make sure you follow all laws of Mexico and do your homework as Mexican real estate can be difficult to understand sometimes. A real estate agent and/or lawyer is usually a must. Once you buy land or a home, you'll become a part of this magnificent place. 360 degree views. 2 bedroom, detached single-story homes.